With minicomics, hardcover reprints of each individual issues and spinoffs, all utilizing top industry talent under the guiding hand of the property's creator, Frank Miller's Dark Knight III: The Master Race has arguably the most ambitious rollout of a major comic book property since Before Watchmen. And, as we now know, it's not going to stop anytime soon. Even though The Master Race was originally marketed as the culmination of Miller's Dark Knight Trilogy (starting with The Dark Knight Returns and continuing through The Dark Knight Strikes Again), today brought the announcement that Miller plans to write Dark Knight IV soon. 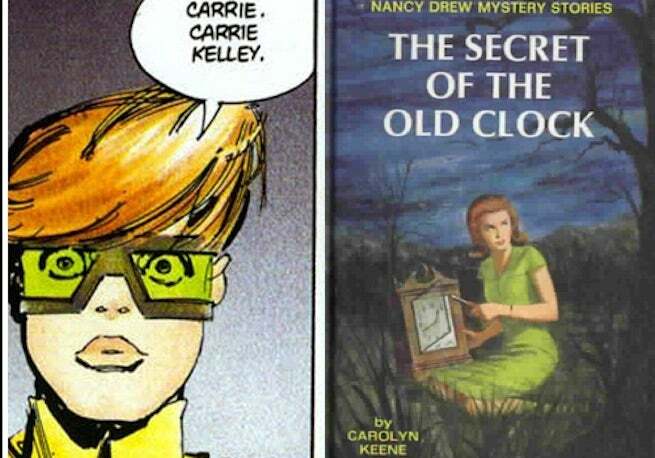 During a recent interview, the full text of which will run on ComicBook.com soon, we asked Miller whether he was surprised by the lasting appeal of Carrie Kelley, Robin from The Dark Knight Returns, whose role expanded in The Dark Knight Strikes Again and who seems to play a key role in the new series, based on preview images DC has released. Until then, Miller is overseeing Brian Azzarello, Andy Kubert and Klaus Janson on The Dark Knight III: The Master Race, the first issue of which is out next Wednesday, November 25.